Thanks to Anchor Hitch Media and the local actors who helped produce our videos for the Newburyport App. Download The Newburyport Mobile App! How do you get the Newburyport Mobile App? From your Apple or Android device, click the App Store or Play Store link, or just type the word “Newburyport” in the App Store or Play Store search field. There is no cost to download the Newburyport App. 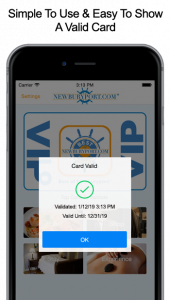 The App allows folks to easily view discounts for participating Newburyport restaurants and shops and check out the VIP Program prior to purchasing a VIP Card. We are confident you will see value in the VIP Card as it pays for itself in just a couple of uses, and because this is a loyalty program (not a coupon) users receive discounts EVERY TIME they visit participating businesses throughout the year. Purchase one VIP Card for $25 or two for $40 and choose between receiving a login for Digital VIP Card display in the Newburyport App or a Physical VIP Card via regular mail. There is no swiping or scanning with the VIP Card. Digital VIP Card users simply TAP their card image and Physical VIP Card users present the card when making a purchase. The physical card can be shared but the mobile App is designed to work for only one user on one device. $10 of your VIP Card purchase and renewal can be donated to one of our 23 local nonprofit partner organizations, so make sure to select a nonprofit recipient when purchasing or renewing your Newburyport Mobile App and VIP Card. You can make your purchase directly through the App or on Newburyport.com order page. If you are a flip phone user, don’t worry! There is no intention of replacing the VIP card with the Newburyport App. The goal is to have a solution for everyone regardless of whether you carry a smartphone. Folks with the Physical VIP Card can view discounts and print the discounts list on the VIP Card Discounts page of Newburyport.com. The expiration dates for Digital VIP Cards and Physical VIP Cards are not the same. Digital VIP Cards are valid one year from order date. Tap the card image on your phone to check the expiration date. If your card is expired, simply tap the renew button, submit a new order and you will instantly receive an email with instructions on how to refresh your App. Physical VIP Cards expire at the end of the calendar year. The 2019 Physical VIP Cards are available for purchase and all prior year cards are expired. Physical VIP Cards can be purchased online, and are shipped via regular mail. You can also purchase a 2019 Physical VIP Card at The Custom House Maritime Museum or The Newburyport Art association. In addition to providing Greater Newburyport restaurant, shopping and lodging discounts, the Newburyport App is your guide to everything Newburyport with access to: check the Events Calendar, view our 13 Live Web Cams, search Local Real Estate, access the Business Directory, enjoy local News & Stories and follow Newburyport VIP on Facebook. If you’re interested in receiving email updates to alert you of new restaurants and shops that join the program, changed discounts, and fun upcoming Newburyport events we recommend signing up for VIP Alerts! One email is sent approximately once every three – four weeks depending upon frequency of program changes. If you just need a quick reference list of New VIP Businesses & Recently Changed Discounts, this is always updated on the VIP Card Discounts page of Newburyport.com, just under the four images for Places to Eat, Places to Shop, Places to Stay & Places to Experience. 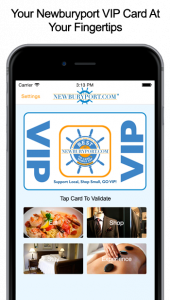 What is the story behind the VIP Card and Newburyport Mobile App? Starting in 2012, Newburyport.com CEO Robert Bentley launched The Best of NewburyportSM VIP Program for the Greater Newburyport Community with a mission to create a loyalty program that would support what Robert called “the heart and soul of our community” our local small businesses owners. His mission was to create a successful shop local program encouraging everyone to spend more of their dollars at our Greater Newburyport restaurants and shops, knowing that collectively it would have a huge impact on our local economy, and would be greatly appreciated by our small business owners. Back in the 90’s Robert owned an advertising company in the Virginia Beach area and built a very successful VIP loyalty program for 146 restaurants, selling 45,000 VIP Cards and eventually selling to a phone card company. Robert’s loyalty program success came from selling VIP Cards through local nonprofit channels, which was the next step for the Best of Newburyport VIP Program. In 2014, Robert’s wife Laura left her 16 year career in corporate sales with Sprint to help grow the VIP Program, develop the local nonprofit partnerships and launch the Newburyport Mobile App. Laura grew the VIP Program from 100 participating Greater Newburyport restaurants, shops and lodging businesses to 180 businesses and she continues to expand the program in Newburyport and surrounding towns. 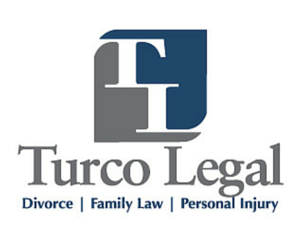 Between 2014 – 2019 Laura developed relationships with 23 local nonprofit organizations who utilize the VIP Program as a fundraiser for their organization. VIP Cards are sold for $25 and the fundraising partners receive $10 of each card sold through their channel, plus they have the opportunity to raise additional funds each year through VIP Card renewals. The VIP Program allows restaurant and shop owners to choose the discount they offer, in order to ensure that the program is driving profitable business to our small business owners. Robert realized that although the VIP Program provided tremendous value to consumers, it was difficult for them to remember 180 discounts. With this realization, he immediately secured the name “Newburyport” for his mobile app. Laura worked with developers to design The Newburyport Mobile App with a goal of making the VIP Program easy to use. App users no longer need to carry their VIP Card. They can digitally display their VIP Card on their smartphone and easily view discounts for the 180 participating Greater Newburyport restaurants, shops and lodging businesses. 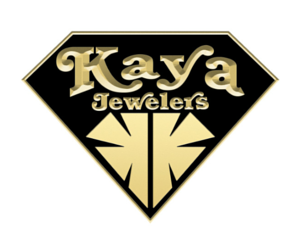 You may have seen the phrase, Support Local, Shop Small, Go VIP! This is the mission of the Best of NewburyportSM VIP Program. 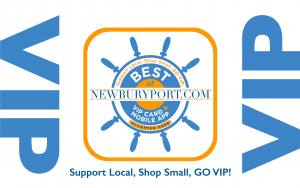 Support a local nonprofit fundraising organization with your Newburyport App/VIP Card Purchase, help drive business to our local small business owners, and use the Newburyport Mobile App or VIP Card to enjoy discounts EVERY TIME you visit any of the 180 participating local businesses.